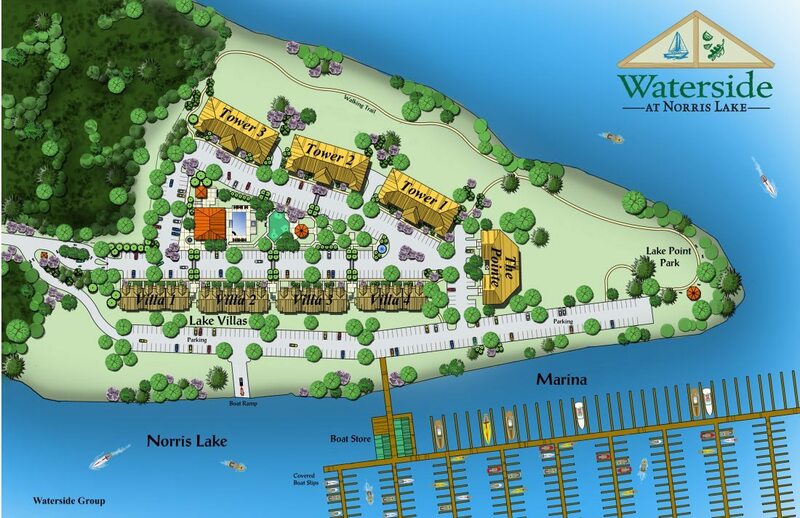 The Villas consists of four buildings totaling 56 condos facing the Waterside marina and Camp Tanasi, operated by the regional Girl Scouts council. The Villas offer 1, 2, and 3 bedroom floor plans. 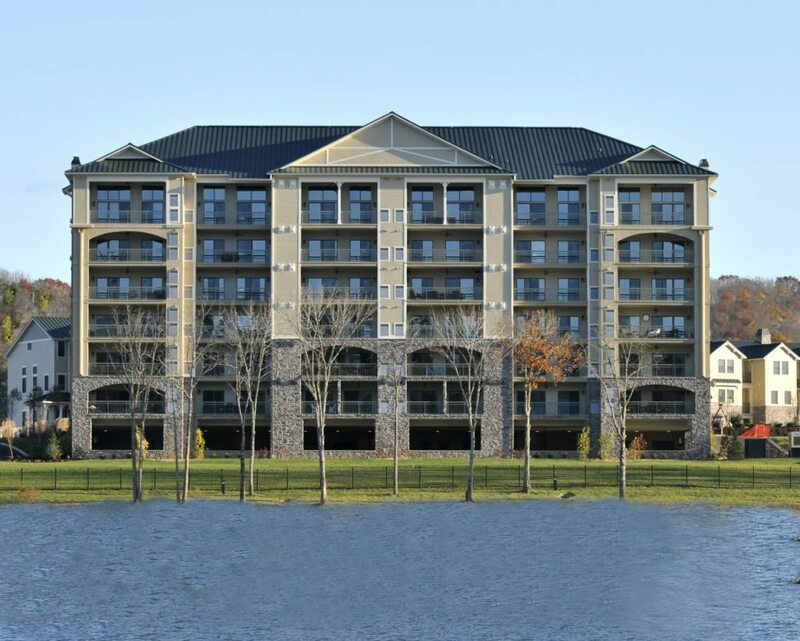 The units are equipped with granite countertops, hardwood and ceramic tile floors, fireplaces, Jacuzzis, large balconies, and a full stainless steel appliance package including; microwave, stove/oven, refrigerator/freezer, and washer/dryer. Prices of these units range from $129,900 to $354,900. The first of three Towers was completed in September of 2009. 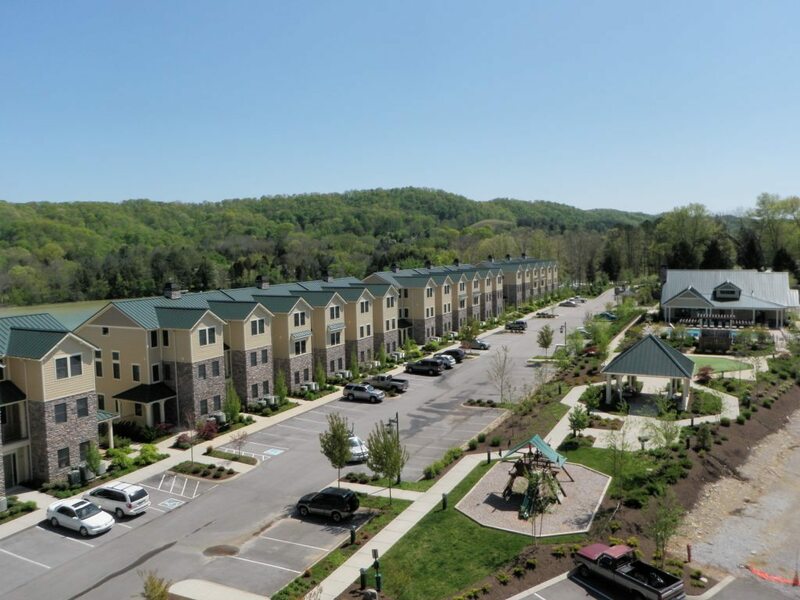 Tower 1 consist of 38 units with floor plans that range from 4, one-bedroom units measuring 764 square feet to roomy 3 bedroom units of 2000 square feet. The units are equipped with granite countertops, hardwood and ceramic tile floors, gas burning fireplaces, all tile walk-in showers, Jacuzzis, walk-in closets, enormous balconies that are equipped with summer kitchens, and a full stainless steel GE Profile appliance package including; microwave, stove/oven, refrigerator/freezer, washer/dryer, mini-fridge and grill for the summer kitchen. Prices of these units range from $209,900 to $549,900.